Sign into your AdWords account. If you’re an agency or consultant with multiple managed accounts linked to your AdWords Client Center, make sure you have entered into the correct client’s account to view their dashboard. When viewing the “Campaigns” tab which displays your list of all online campaigns, click the red “+ Campaign” button and select the “Online video” option. A “Create new video campaign” screen will load. You will need to name your video campaign and set a daily budget. You will also need to decide on your target locations and languages. 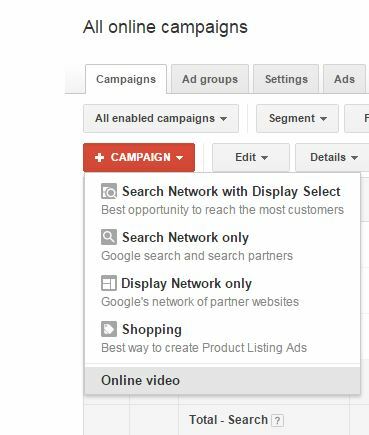 Following these initial campaign settings, you will need to provide the URL to the public or unlisted YouTube video you wish to advertise with. Providing this link will then enable you to customize your In-Stream ad, In-Display ad, and set a frequency cap. After you’ve set up your ad(s), you will have the ability to select how you wish to target your audience. You will need to provide a name for your targeting group (ex. if you are targeting based on keywords, call it “Keywords” or something of the like) and a max cost-per-view amount (similar to the max bid you might set for a text ad keyword). With online video campaigns, you can target viewers by gender, age, parental status, interest, topic, keyword lists and remarketing lists. 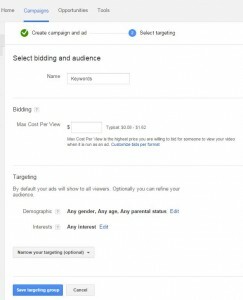 Once you have selected your targeting settings, you have completed the basic setup of your video campaign. 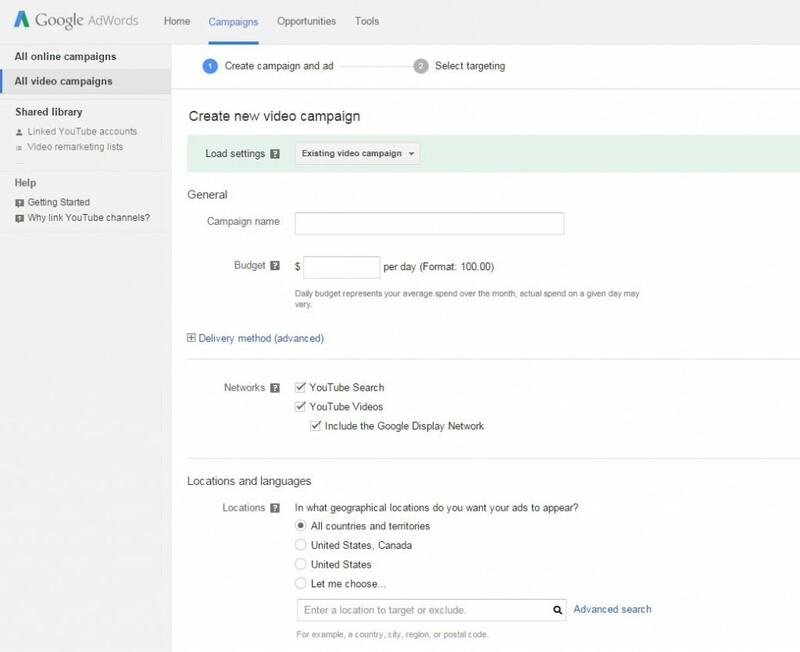 For a more in-depth overview of some additional setup features, read Google’s help page for creating video ads with AdWords for video. PrevWhat is a “Search Network Only” Campaign Type in Google Adwords?